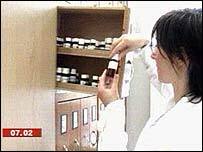 BBC NEWS | Programmes | Breakfast | What's wrong with complementary medicine? Breakfast's main story this morning is a plea from a group of leading doctors for the NHS to stop subsidising unproven complementary therapies. The group, including a Nobel Prize winner, has written to every NHS Trust in the country. They say it's appalling that patients struggle to get the breast cancer drug Herceptin, while there is funding for "unproven" treatments such as homeopathy. We talked to one of the doctors who's signed this morning's letter, Dr Leslie Rose. "We want to instil in the NHS a rigour for every single treatment prescribed, whatever that might be," he told us. "The NHS should not be spending money where the evidence base is much weaker than it is for conventional treatments. "There's a degree of evidence for treatments like acupuncture - but the difference between it and conventional treatments is that the evidence for the latter sticks out like a sore thumb. "It's very obvious whether it works or not." We debated whether alternative therapies can work. 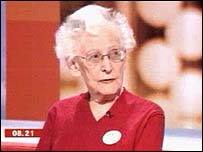 We talked to our regular GP Dr Rosemary Leonard - and to one supporter of homeopathic medicine, Jane Gilchrist, who's a remarkably spry 93 years old. Jane's been taking a homeopathic heart remedy since being diagnosed with heart problems in the 1970s. Despite her age, she's still helping out at a homeopathic clinic in South London. Should the NHS subsidise alternatives?